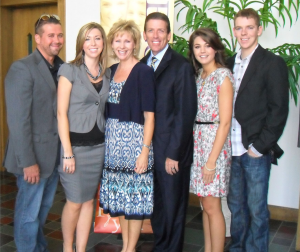 THE AINSWORTH FAMILY: Mike, Trisha, Brandon, Heather, Kaitlin & Michael Jr.
Let me personally welcome you to Cornerstone Conference IPHC! As a participating member of the International Pentecostal Holiness Church we are committed to be a place of hope and a people of promise! 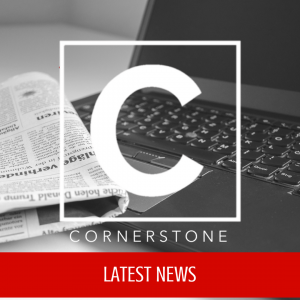 Cornerstone Conference has experienced God’s favor and faithfulness for more than 100 years. We are committed to follow Christ with a fresh focus for 21st Century Spirit-filled ministry. I invite you to join Cornerstone in the joyful work of equipping ministers and churches to fulfill the Great Commission. Paul gave Timothy a rich legacy—Scripture, doctrine, a godly example, a position of authority, and most important, the gospel message that salvation comes through Christ. He did not pass these things to Timothy in some dark corner like they were smuggled wares or spiritual contraband. He gave them to Timothy in the open; in the presence of all who cared to see. What was Timothy to do with these things? Was he supposed to simply believe and live them? No, Paul charged him with the task of passing them on—not indiscriminately, not in the form of books or articles, not merely to his physical children. Timothy was to hand them down in the same form he had received them, to individuals who would be faithful to pass them along in turn. These were to be “trustworthy men,” people who were qualified—like Paul and Timothy—to preserve and pass on the faith. What Paul gave Timothy was something that he could trust. Scripture, doctrine, a godly example, a position of authority, and the message of Jesus Christ is at the heart of what we are called to do as ministers of the gospel of Jesus Christ! 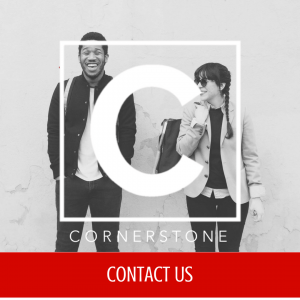 We Welcome YOU to the Cornerstone Conference IPHC! GLOBAL EVANGELISM: We believe we are called to live out the Great Commission by equipping ministers and congregations to evangelize our communities and generously support missions around the world. DISCIPLE MAKING: We believe disciple making is a clear mandate from Christ requiring a strong biblical focus on evangelism and training that will produce and promote growth and health in and among our churches. COMMUNITY: We believe we are better together than we are alone. Called to fulfill God’s purposes on earth, we connect ministers and churches to one another in healthy relationships of interdependence, accountability, synergy and care. SERVANT LEADERSHIP: We believe that identifying and equipping Christ-honoring, gospel-centered leaders is critical for local and conference ministry, and is ultimately characterized by a loving and willing heart of obedience. LOCAL CHURCH FOCUSED: We believe we exist to serve, strengthen, and multiply congregations. Because local churches are the most primary and intentional points of evangelism and discipleship, we commit ourselves to help congregations grow, multiply, be healthy and authentically reflect God’s plan. TRAINING AND RESOURCES: We believe we are called to do everything with excellence! Our passion is to add value to ministers and churches through innovative ministry, resources, training and mentoring opportunities.